Judge Lord Matthews imposed a life sentence for the “brutal” murder. Lord Matthews said Campbell’s crime had caused “revulsion and disbelief”. He said Alesha had been violated and murdered and told Campbell he was a “cold, callous, calculating, remorseless and dangerous individual”. The judge read out Campbell’s “cold blooded and horrific” account of his actions that night and how he described seeing Alesha asleep in her room as “a moment of opportunity”. The psychologist’s report notes Campbell’s reaction when he saw Alesha in her bedroom. The killer described it as “a moment of opportunity”. Campbell’s confession was contained in the criminal justice social report and the criminal psychologist’s report, which were prepared ahead of his sentencing. The report by the forensic clinical psychologist Dr Gary Macpherson quoted Campbell as saying: “At any other time in life murder would not have been the conclusion. He said he had shown “a staggering lack of remorse”. “Not once did I detect a flicker of emotion from you,” the judge said. Lord Matthews said it would be for others to decide if Campbell would ever be released, indeed, he said his reintegration into society might be “impossible”. 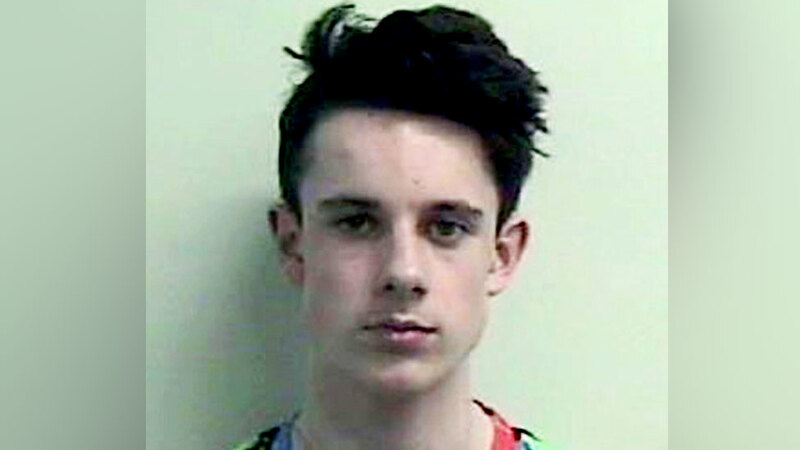 During his nine-day trial at the High Court in Glasgow last month, Campbell claimed he had never met his victim and lodged a special defence naming the 18-year-old girlfriend of Alesha’s father as the killer. The judge said this was a “cruel travesty of the truth” and said the woman he blamed, Toni McLachlan, was “completely innocent”. The judge said he was “shocked” by the clear admissions of guilt in the background reports, especially after the “tissue of lies” Campbell had told in court. The psychologist said that on the night of Alesha’s death Campbell had been drinking and wanted cannabis so he decided to go into her father’s home to get some. Alesha’s father had previously sold him the drug. In his sentencing statement, Lord Matthews said Campbell had carried Alesha to a secluded spot where he raped and murdered her “in the most brutal fashion”. He told the teenager: “You said that Alesha was drowsy and became a bit more awake when you went out. “At one point she asked who you were and where you were going. The judge said that over the next few days Campbell was unconcerned about what had happened, and was “slightly amused” that the police had not caught him. The court heard that the teenager had said he was “quite satisfied by the murder”. The judge said Campbell told Dr Macpherson that at points during the trial it took “everything to stop laughing” and he had to “zip his mouth”. She was reported missing from her grandparents’ home on Ardbeg Road, near Rothesay, at 06:23 on 2 July last year. After the sentence was read out family members shouted “evil” and “beast” as Campbell was led down to the cells. Globalisation: Where on the elephant are you?